After completing his internship, Vartanian spent a lot of his time in the field as a salesperson. In addition to gaining a better understanding of the products that MSA designs, develops, manufactures, and markets, that experience put him into close contact with the professionals who relied upon them. As the only publicly traded company in the United States completely focused on worker and workplace safety, those relationships often were essential to the well-being of the customers. “Some of my customers became very good friends, and I came to really understand the risks that they undertake and the role their equipment plays in minimizing or eliminating those hazards,” he says. In addition to the people he met out on the road, Vartanian grew to understand the true impact of working with great people as well. As he advanced through the sales ranks, he developed a leadership style that helped leverage the strengths of those teams while engaging and motivating them to constantly improve and grow, always focused on the values of the company. Throughout, he marveled at the mission’s ability to draw in a diverse group of employees, all incredibly skilled and dedicated to helping improve the safety of workers around the world. In fact, MSA continues to focus on diversity and inclusion–a core MSA value–at every level; three women sit on its board, and the leadership team has established pipelines and development programs to continue to grow and nurture talent in underrepresented communities. 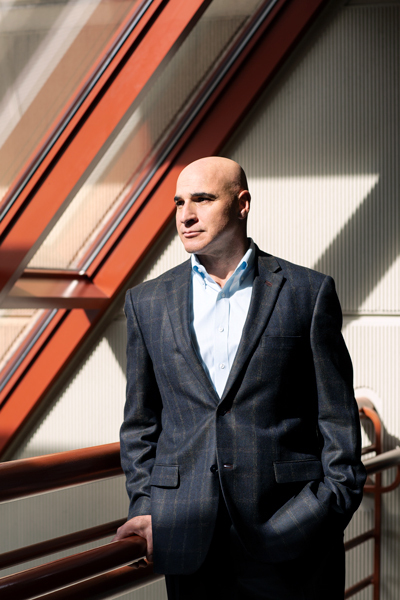 Vartanian’s role continued to rise as the years passed, reaching a position as president of MSA North America in 2015. Three years later, he was chosen to become president and CEO of the entire global organization. “I’ve spent my entire career here, and we’ve only had nine CEOs in our 104 years,” he says. “That’s an incredible honor.” Vartanian credits his success in part to having been able to connect with John Ryan Jr., former CEO and son of one of the company’s founders, as well as his son, John T. Ryan III, another former CEO. “John Ryan Jr. often talked about ethics back in the early ‘80s, before ‘ethics’ was even a buzzword,” Vartanian says. 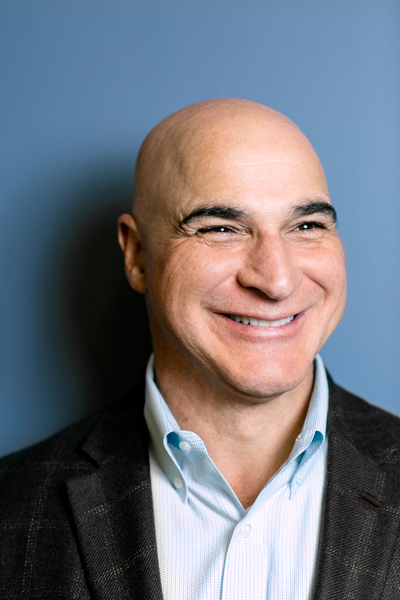 Appreciating the importance of two-way communication, Vartanian devotes a good deal of time and energy to making sure he connects with employees in a manner that’s open and transparent, reflecting his personality. “Our employees from top to bottom need to have a clear understanding of our strategy,” he says. By pairing those communication skills with hard data and metrics, the progress can be felt more tangibly. Vartanian reviews key performance indicators and operating plans with his executive leadership team on a monthly basis, in order to course correct whenever necessary, with speed and agility–another core MSA value. 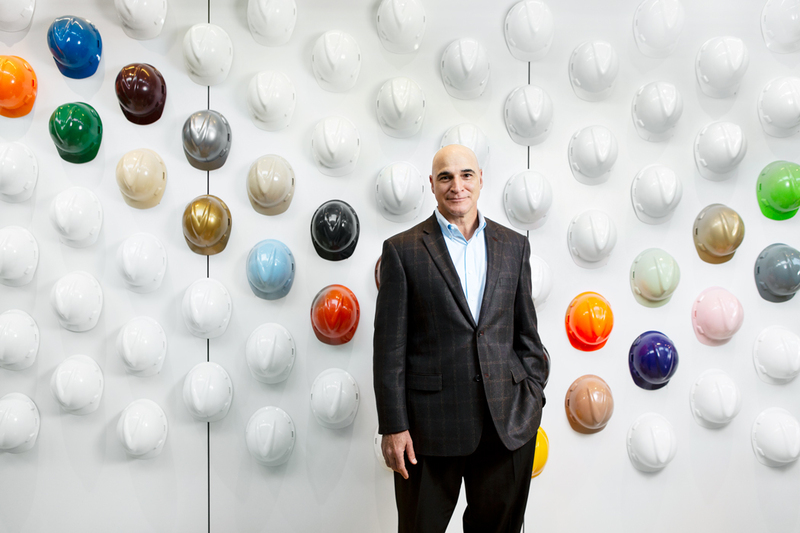 Vartanian leans on his past sales experience to ensure the company’s market-leading products and the life-saving value that they provide to customers are at the center of all product development processes. In the global $40- to $45-billion safety market, MSA competes in an estimated $8-billion segment defined best as sophisticated safety. For this segment, MSA disproportionately invests R&D dollars in seven core product groups that include portable gas detection monitors, fixed gas and flame detection systems, industrial hard hats, fall protection equipment and self-contained breathing apparatus (SCBA), and helmets and protective apparel for firefighters. “By focusing on those core products, we’ve improved the key financial metrics of the organization in addition to providing safety to our customers,” Vartanian says. “We’ve been rewarded well by investors, and we think we still have some very good runway for growth as we go forward.” Coming from sales, growth is naturally in the newly minted CEO’s wheelhouse. “We’re moving toward organic growth through research and development, finding new customer solutions,” Vartanian says. The other acquisitions came in fall protection and turnout gear for firefighters; falls remain the predominant area for worker injury and death, while the latter acquisition helped further expand MSA’s presence among fire departments. In addition, MSA is moving toward real-time, cloud-based sensoring through a new subsidiary called Safety io. In all of these facets, MSA remains focused on areas that help them fulfill that one mission of providing essential safety to customers.